The Buffalo Creek, although owned by the Erie and Lehigh Valley, was also used by transfer runs of the Baltimore & Ohio and Nickel Plate as well. 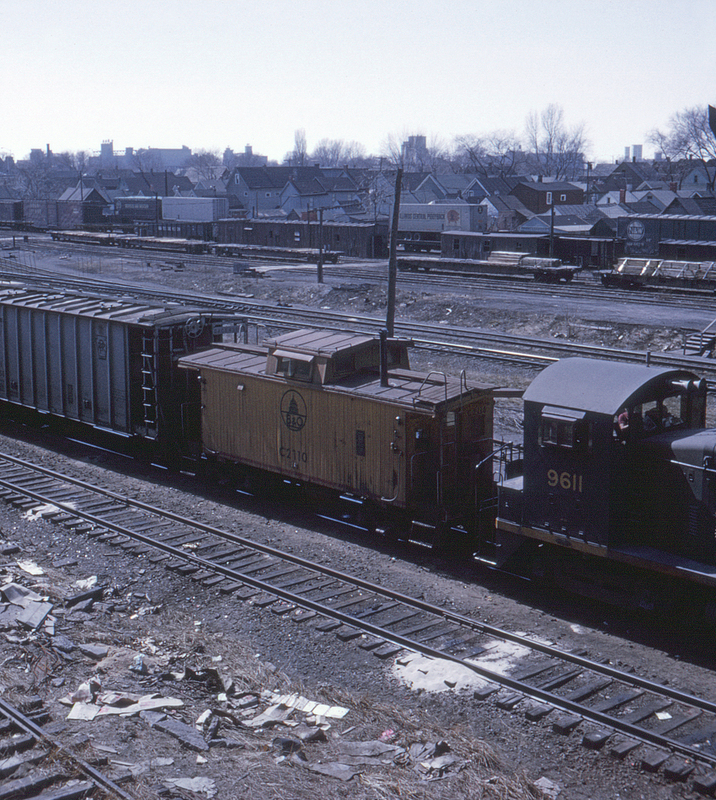 Here, looking south from Seneca Street and just south of FW Tower, a B&O transfer run with ancient wooden caboose no. C2110 (but already in Chessie System paint) heads for the junction. The tracks on the other side of the solitary pole belong to the Pennsylvania; the track in the lower left corner leads to the Erie's East Buffalo (later Bison) yard.